Eileen Cook grew up in a small town in Michigan, but would go on to live in Boston and Belgium before settling in Vancouver, Canada with her husband and two very naughty dogs. 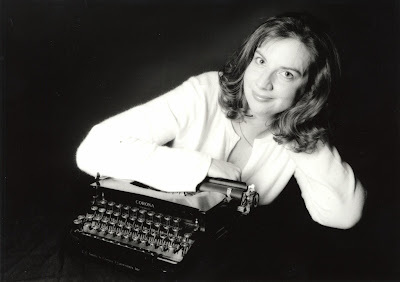 Eileen is a popular speaker at conferences both in the US and in Canada, provides writing/editorial coaching, and is a mentor/instructor for the Simon Fraser University The Writer’s Studio. I grew up as a book nerd. I made weekly trips to the library. I remember reading The Outsiders and anything that Judy Blume could write. I knew I wanted to be a writer, but I didn’t set out to be a YA writer. My first book, UNPREDICTABLE, was an adult romantic comedy. One of my reviews commented that I had a great voice for YA. I hadn’t read YA at that point since I was a YA so I marched off to the library and checked out a huge stack of books. I fell in love and haven’t changed my focus since then. They might be surprised to find out that I’m quite shy and introverted. I can pretend to be an extrovert for short periods of time. I’ve done presentations for up to 300 people at a time, but when it’s all over I want to go home and hide under the bed for a few hours. My parents have framed up a homework assignment I did in second grade. We were supposed to practice writing sentences, but I strung mine together to make a story. The teacher wrote: “I’m sure someday you’ll be an author.” Then I went through a long period where I started LOTS of books, but I didn’t finish them. I would be excited in the beginning, but would then write myself in a corner and quit. About fifteen years ago I realized that I had to push through a finish an entire book to start getting better. To read! I was lucky enough to have some great teachers that really encouraged a passion for books. I learned to try books that I might not automatically reach for and how to figure out what I liked or disliked about a book. Did you learn anything from writing Used to Be and what was it? USED TO BE is an interesting book because it was a chance to put two of my past books, GETTING REVENGE ON LAUREN WOOD and THE EDUCATION OF HAILEY KENDRICK together. I learn something with every book, either an odd piece of trivia (for example in writing Hailey I learned that more people are killed by falling vending machines than in shark attacks- who knew?) or something about myself. When writing Getting Revenge I explored if I thought revenge was worth it. For those who are unfamiliar with Hailey, how would you introduce her? Hailey’s had a good life. She comes from a wealthy family, she dates an amazing guy and she’s the top of her class. What she has to learn is how to deal with things when they don’t go well. What part of Lauren did you enjoy writing the most? It’s always fun to write “the bad girl.” They have a chance to say and do all the things that I would never do. If you could introduce Hailey to any character from another book, who would it be and why? I’d love for Hailey to meet Hermione Granger from Harry Potter. I have the sense the two of them would get along. They’re both whip smart and even they both plan to avoid trouble, but don’t seem to be able to do it. Oooh hard question. I’ve learned so much from so many writers I’m not sure I could pick just one. I’m always impressed with how generous most writers are. Writing is a hard profession. There’s a lot of rejection and difficult days. Having someone who has been through the same experiences is a huge help. It depends how you want to look at it. I have eight books that are published and one coming in December. I have another book that is done that I’m working with my editor on. Then there are the books I wrote before I was published while I was still learning. There are at least three full novels that have never seen the light of day that I consider my “practice” books. Life doesn’t give you a dress rehearsal. Read good books, travel, meet new people, try weird foods, don’t be afraid to dance, spend time with your friends, and whatever you do- don’t give up on your dreams. Do bad reviews bother you? I always say: “No of course not. You can’t please everyone.” Truth is I obsess over them and wonder what I could have done differently. I’m better than I used to be, but it’s still a work in progress to let go of worrying about what other people think. I worked at Dairy Queen for one summer. The manager LOVED his job. He lived and breathed working at the DQ. He was always lecturing us on how to make the perfect circle on the top of the cone and how to get even sprinkle distribution. No one should take soft serve that seriously. He acted like we were working at the Pentagon keeping the world safe. My husband’s my best friend so he gets the honor of being the person I unload on when I’ve had a bad day. I’m also lucky to have a good group of friends I can call on when he’s ready for a break. I re-read John Green’s The Fault in Our Stars and bawled like a baby just a few days ago. I also cry at ASPCA commercials, sad movies, and when the book I’m writing isn’t going well and I want to beat my head on the desk. Enjoy two wise and witty stories from Eileen Cook in one great book! In The Education of Hailey Kendrick, Hailey is tired of always doing exactly what’s expected of her. She’s going to prove she’s not perfect by breaking a very big rule in a very public way…with a very unexpected partner in crime. When Hailey gets caught, she loses everything—her best friend, her boyfriend, her popularity, her reputation. Now Hailey is up for anything…maybe even the boy she never noticed before. But even with her new bad girl image, she still has to ask herself: How far is too far? In Getting Revenge on Lauren Wood, Lauren and Helen used to be best friends…until Lauren betrayed Helen in a manner so publicly humiliating that Helen had to move to a new town just to save face. Now Helen is back, and she’s planning to bring down her former BFF by taking away everything that’s ever been important to Lauren—starting with her boyfriend. Watch out, Lauren Wood. Things are about to get bitchy. Eileen Cook’s Used to Be is a compilation of two stories about growing up and moving on: Getting Revenge on Lauren Wood and The Education of Hailey Kendrick. First, there are the two best friends, Lauren and Helen. After Lauren deceived Helen and publicly humiliated her, Helen moved out of town to escape the fiasco. Now that she has returned, only one thing is on her agenda...bring down her former BFF. She starts her revenge dinner so-to-speak with Lauren’s boyfriend as her appetizer. Second, we have Hailey, a girl who has always followed the rules and done what is expected of her with no question. She’s tired of being labeled as perfect and sets to prove everyone wrong. Along with an accomplice, she publicly breaks a rule. After being caught, she literally loses everything but keeps it up to protect someone she ends up taking the blame for and deals with the consequences. But how long will she keep it up before it has gone too far? Eileen has crafted two wonderful pieces of literary works that are fun and entertaining. Both stories had engaging dynamic characters. The writing style is absolutely amazing and provides readers with a clear understanding of the characters’ personal viewpoints of their predicaments. The theme of friendship and revenge is carefully outlined as it focuses on the last stretch of a long-standing friendship and the very things humans will do when they feel they have been betrayed. Used to Be are stories that are familiar but are rarely done well. Eileen’s careful mixture of drama and humor gracefully provides readers with a clear picture of the process of growing up and moving on. Just like her other books, it will not disappoint. Thank you EILEEN COOK for making this giveaway possible. 1 Winner will receive a Copy of Used to Be by Eileen Cook. Thank you so much for donating your book for this giveaway!! I'm so excited for having the chance to win this book!! The interview went pretty well and is very enjoyable too. Thanks for the chance to win this book, it sounds amazing! Thank you Eileen for the donation and the giveaway! It sounds truly amazing! Thanks so much Eileen! I've been wanting to read this one!